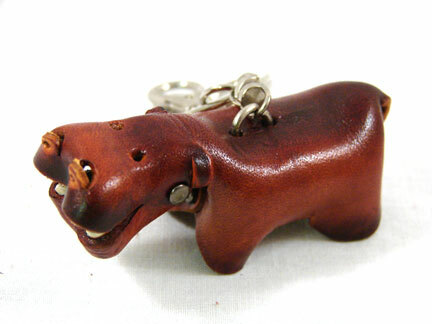 This winsome hippo is completely hand made of leather and will keep track of your keys for you. 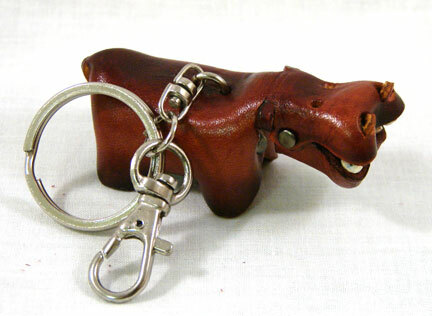 It comes with a key ring and a snap. Both or either can be used. 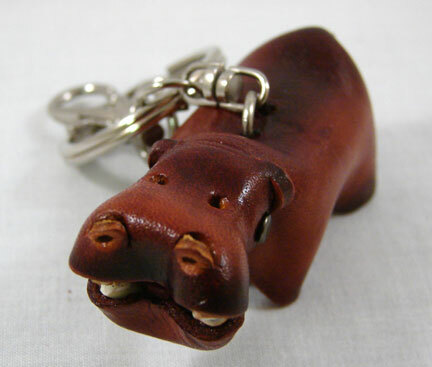 You can also remove them completely to use the hippo as a zipper pull or a fan pull.